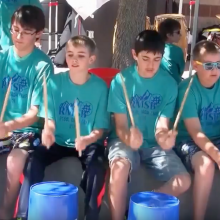 RMSB is a fun group of people that love to play wonderful music. 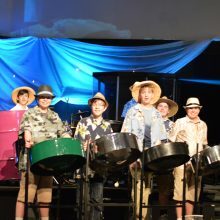 There’s no better instrument than the steel drum and no better way to learn than with a group of great people. Getting started is easy! We always have beginner classes . We’d love to have you join us. Call 303 886-5180 or email Rick to get started! We’ve set the dates for our 2019 summer camps. Come join us! 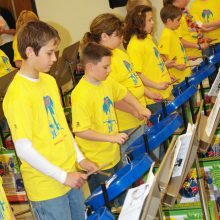 We've got multiple bands that have tons of music, tons of fun! We currently offer a huge variety of classes for 6+. No, many of our members don’t read. If you know how it certainly helps! What if I don’t really have time to join a class? You owe it to yourself to find time for music. Plus, you don’t need to practice outside of class. Some people do and that’s great. Others just show up and play and have fun! Nothing at all. We have all the drums and sticks you’ll need. Of course pan rental is available if you want. Yes, we have several classes for kids ages 6 through 17.